By the time I met Margaret Gill, it had been a long time since she’d buried her first husband. 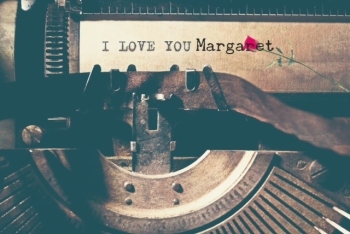 Margaret came to love late the first time—she was in her 50’s then, in her 70’s when he died. And that was really enough. She was surprised by love way back then anyway as she never really expected to have a sweetheart. It was a good marriage too. She spoke of him as you would a good friend—one who had befriended you when you least expected it and stood by you through life’s ups and downs. Margaret clearly had a fondness for husband #1, no doubt about that. But there was no comparison between the way she talked about him, and the way she talked about Jessie. “Oh Jessie,” Margaret crooned when recalling their time together. “Never in a lifetime did I expect to experience a love like that. Oh how we loved one another. Jessie . . . he was my life’s gift."